Meal times offers a valuable opportunity to develop and support children’s development in a range of areas of learning particularly Personal Social and Emotional, Communication and Language. The enabling meal time environment promotes independence confidence and self-help skills for all age groups . It encourages children to communicate and gives children the opportunity to nurture friendships with peers and familiar adults . Meal times provide children with the opportunity to learn about health and hygiene and making good diet choices. Children and babies are supervised daily by nursery staff who have been trained to follow a set of standards that includes the amount of toothpaste used and cross contamination controls. 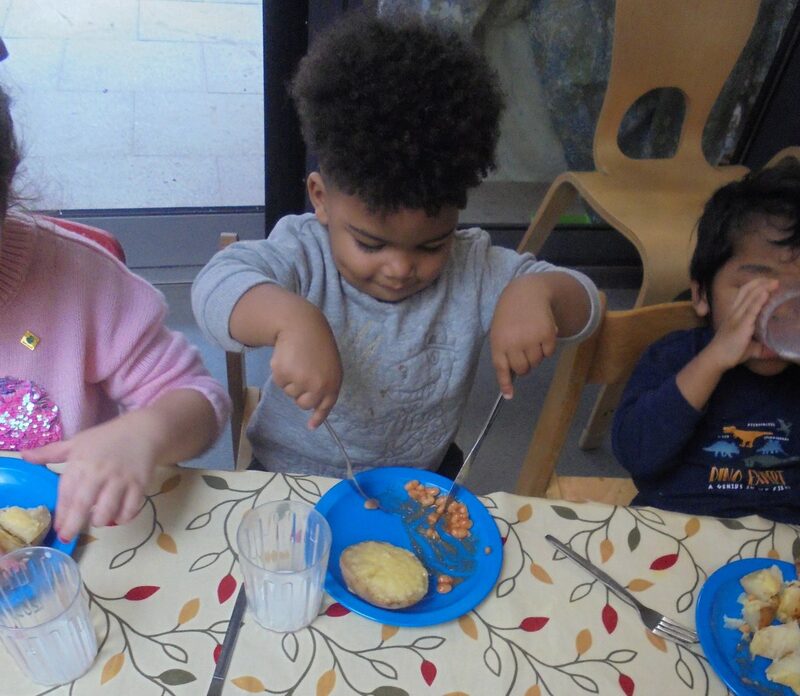 Chatham Nursery School provide a healthy nutritious balanced diet, encouraging new food experiences. Our wholesome varied menu is provided by Absolute Catering Company . Our highly skilled cook prepares all food on site using high quality ingredients. The children make a positive contribution to their own healthy eating by harvesting produce they have grown in the mini allotment. In your starter pack there is a form to state any dietary requirements or allergies your child may have. A member of staff will be available if you need to discuss this in greater detail. The hygiene standards nursery kitchen are exemplary and have maintained the highest hygiene rating for the past 5 years.